A Memorial Service is planned for 3:00 pm, Sunday Dec. 18th at the Unitarian Universalist Church 5090 Center St. NE Salem, OR. Assisting the family is Virgil T. Golden Funeral Service. 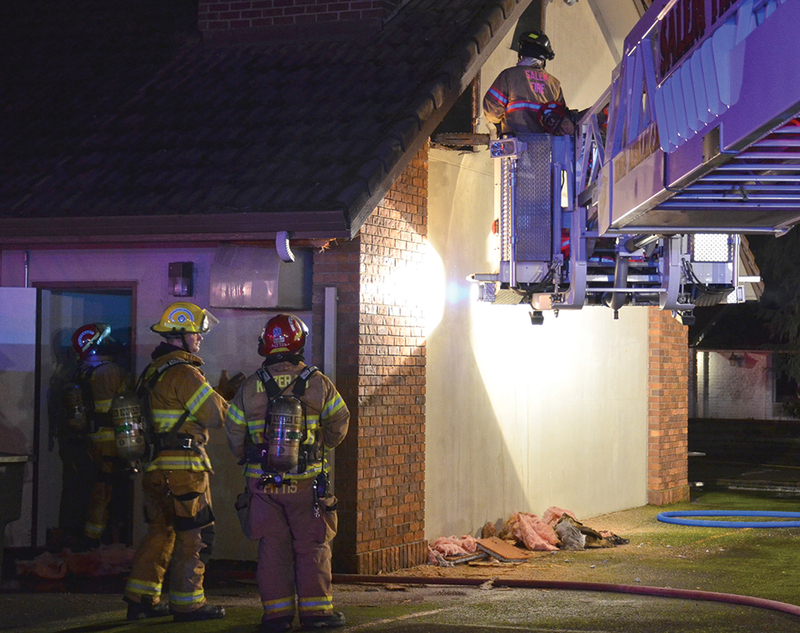 A chimney fire in the crematorium at Keizer Funeral Chapel on River Road North, kept crews from throughout the region busy Monday, Dec. 12. The Keizer Fire District, Marion County Fire District No. 1 and Salem Fire Department all responded to the call that came in shortly after 5:30 p.m. and remained on the scene for several hours making sure it was doused. Firefighters arrived on the scene to smoke coming out from eaves all around the building, but no visible flames. The source of the smoke was determined to be the chimney of the business’ crematorium. A tile roof and thick siding complicated the attack and a large section of the exterior wall had to be removed in the hours that followed the initial call. The funeral director noticed the smoke as he was leaving for the evening and got the one remaining employee out of the building. Repair technicians had already been scheduled to come out and look at the problem the following day. In all, seven engines, four medic units, one ladder truck, a support vehicle and a duty officer responded to the fire. Cowan and Storms reminded city residents to have their chimneys inspected and cleaned annually before using them and to check smoke detectors.